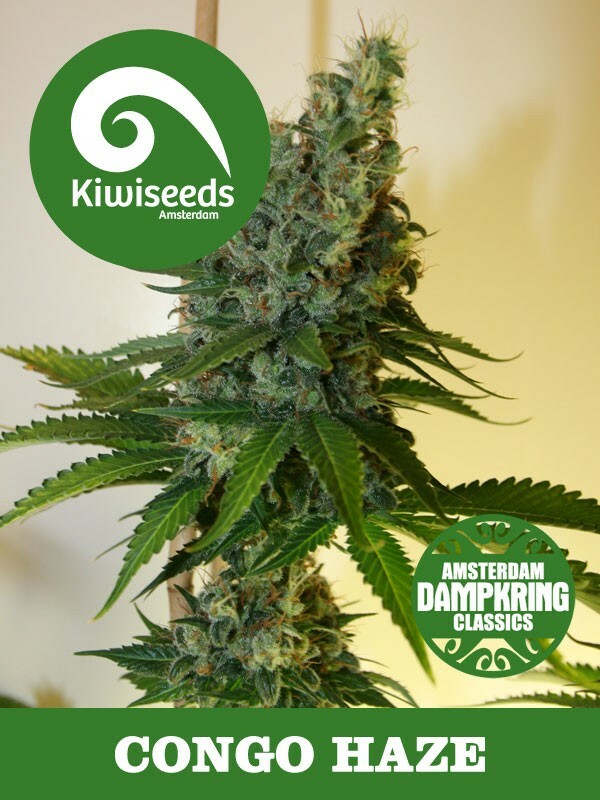 Dampkring Classics At the Hightimes Cannabis Cup in 2007 while the usual suspects took all the main prizes in the Coffeeshop categories, an incredibly tasting new strain was making waves in the underground tasting sessions. The strain was Reeferman's 'John Sinclair'- AKA 'Red Congolese. The Dampkring Coffeeshop entered John Sinclair that year and it came in at 4th place. We thought she deserved far better and a lot of people would agree. This hybrid is a fantastic blend, merging of the finest cannabis has on offer. The aroma and sweetness of the Sativa dominant Red Congolese, united together with a far stronger growing, rich 'n spicy Neville's Haze. Try it you'll love it. Now available, the best of these genetics in Regular seeds, what better way to make the ideal strain than breeding the best of the best into your favourite variety? That is now possible thanks to our strains being available in Regular seeds too! At the Hightimes Cannabis Cup in 2007 while the usual suspects took all the main prizes in the Coffeeshop categories, a fantastic new tasting weed was making waves in the underground tasting sessions was Reefermans 'John Sinclair'- AKA 'Red Congolese.